Hotel Indigo is located on eight private acres in the heart of Long Island’s East End! Nearby to the Hamptons, the North & South Fork vineyards, beaches, local shopping and exciting nightlife, Hotel Indigo offers luxury accommodations in the center of it all. Here is where you’ll find more than you ever expected — and everything you were hoping for. Accommodations: A truly boutique hotel experience with 100 contemporary guestrooms. All rooms are fully equipped with modern design, flat screen television, spa style bathroom, free Wi-Fi, Keurig single cup coffee maker, and more. Standard, Deluxe and Poolside (with private terrace) rooms available. Pet friendly accommodations are also available. Dining: Bistro 72 is a casually elegant restaurant and lounge located right on premise. Our contemporary cuisine highlights seasonal locally sourced ingredients and East End wines. We feature indoor and outdoor dining from a delicious meal for one to a spectacular catered affair for many. Bistro 72 is a full-service corporate and special events catering company that is happy to customize a menu to meet your unique taste. Outdoors: Hotel Indigo’s alluring poolscape is a true luxury escape, featuring a modern pool, gazebos, fireplaces, and lounge. Bistro 72 offers pool side service so you can dine water-side or enjoy a cocktail nestled near the double-sided wood burning fire place. Spa: There’s no better way to relax than to take advantage of our calming spa services. We offer a spa experience that is tailored to your individual needs with our signature, deep tissue, and hot stone massages. A full service fitness center is also available so there’s no need to worry about missing a day at the gym. Entertainment: At Hotel Indigo you can enjoy Long Island’s music scene with live entertainment Wednesday through Saturday nights. From soul searching ballad singers to toe-tapping dance bands, our live performances will make your stay memorable. With so much to do on Long Island’s East End, we offer fabulous packages to make your visit exactly what you were looking for! Packages include Indigo Girlfriend’s Escape, The Place To Drop After You Shop® Getaway, The North Fork Uncorked Tour, and East End Couples Retreat. For your convenience, we also offer shuttle service to area destinations. 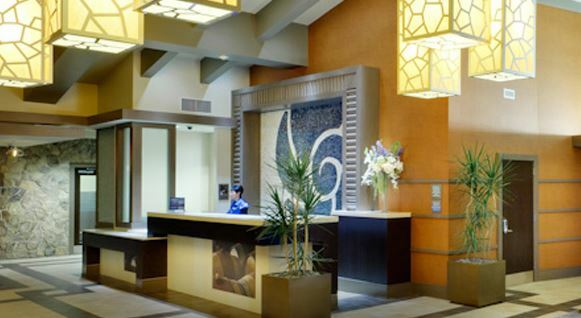 If you are looking for an extraordinary experience on Long Island, Hotel Indigo offers something special for everyone.